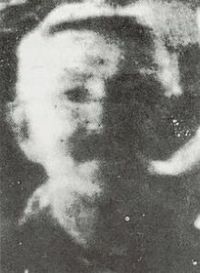 The Venerable Matt Talbot was the second of twelve children. He was born into a poor Dublin family in Ireland. His education was short. He took up full-time work at the age of twelve with a wine merchant. Then he moved to a whisky distillery and thereafter, various construction sites. He worked generally as an unskilled labourer. By the time Matt was 14, he was considered a hopeless alcoholic. As soon as his paid workday ended he would start drinking and as soon as his wages were spent he borrowed and stole to buy the next drink. Despite his alcoholism, and as is often the situation with those suffering from the illness, he was a committed worker and held in very high regard by colleagues. After 16 years of constant daily drinking and when no one would loan him any more money, he went home to his mother. Deeply troubled, both spiritually and physically, he made a commitment to stop drinking for three months. At the end of the three months, he extended it to six and then life. Matt had transformed his living. He repaid his debts, attended daily Mass before work –multiple Masses (secretly) at weekends, joined the Third Order Franciscans, lived frugally and gave his money to the poor and the church. When he died and his body examined, it was discovered that he had also been performing regular physical penance for many years. Ven. Matt’s Patronages include those with alcohol and other drug addictions. His Feast Day is June 19th. Pray for us that we will have the strength to avoid all misuse of drugs.